Batman's Role in 'Suicide Squad' Described as "Boogeyman"
The hits keep on coming for El Mayimbe of Latino Review as he's got yet another scoop from Warner Bros' upcoming Suicide Squad film. 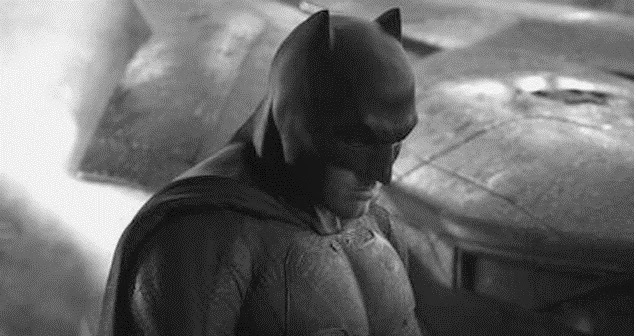 Having already provided a ton of rumored details about the production, his latest Instagram report involves the role of Batman and the enormous shadow he casts on the landscape in David Ayers comic book adaptation. Batman as "boogeyman" is an interesting take that certainly will create a more mythical figure similar to that of the comics. Having Waller seek out Batman to get to other meta-humans follows arcs in the books as well especially in one series where Batman's detailed profiles of other heroes and their weaknesses are hacked. In regards to Suicide Squad, no word if he'll make an on-screen appearance but I'd guess it would be a cameo if anything else. I'm sure the rate these rumors are being leaked, El Mayimbe will be all over it. Stay tuned. Suicide Squad hits theaters August 6, 2016.